No doubt, the hardest worker on Fort Wayne’s Deep Rock Tunnel project, at 24-hours a day, is the Tunnel Boring Machine (TBM). Today, that worker has a name, and it’s MamaJo. 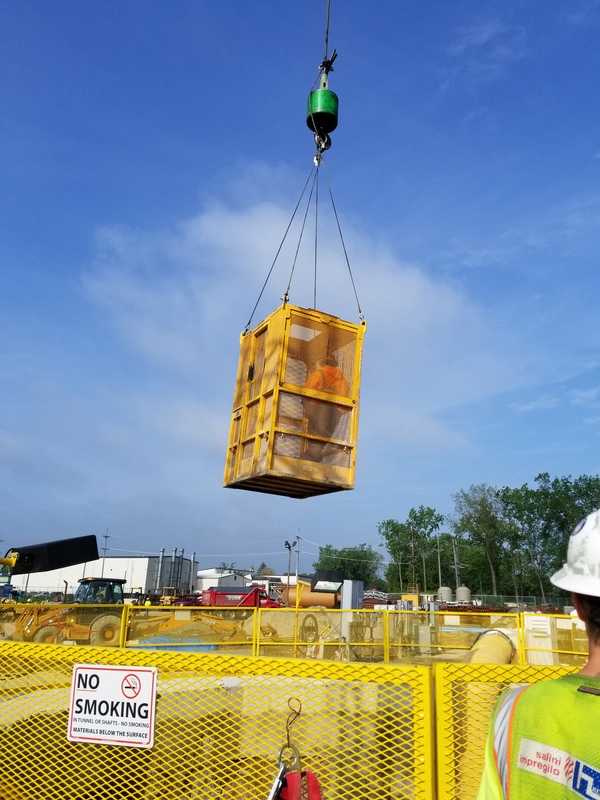 Derived from taking the first two letters from Fort Wayne’s three rivers, the Ma from Marys, Ma from Maumee and Jo from Joseph, MamaJo seems only fitting for a project that’s had an engineer's working title of the Three Rivers Protection and Overflow Reduction Tunnel (3RPORT). And so MamaJo becomes the protector of our rivers. Mining lore says that as far back as the 1500s, workers prayed to Saint Barbara for protection while working in the dark underground. Since then it’s been tradition to name the tunnel boring machine. 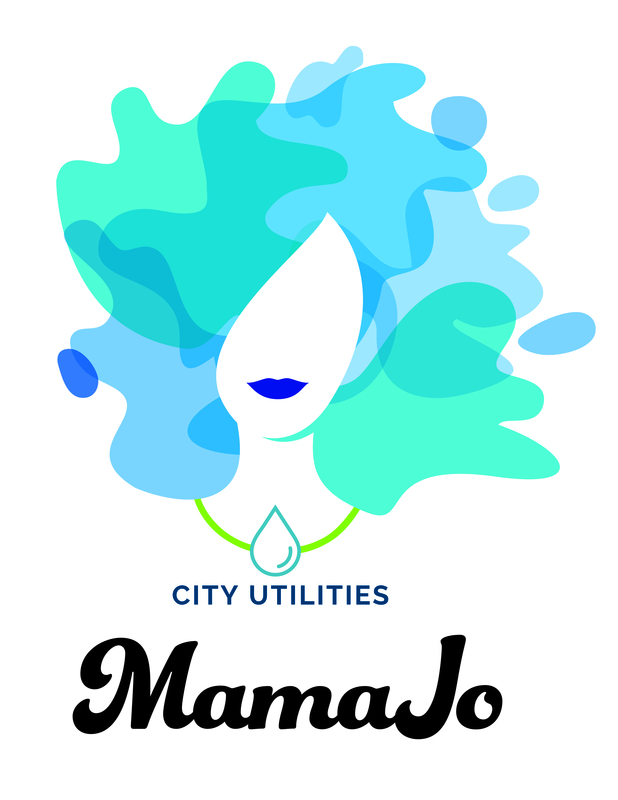 Soon, MamaJo standing at a diameter of more than 20-feet and stretching more than 400-feet in length will begin her journey on one of the most significant public infrastructure projects in the history of the Community. She will grind through bedrock to build a five-mile-long sewer tunnel, more than 200-feet under the earth’s surface, with an interior diameter of 16-feet. 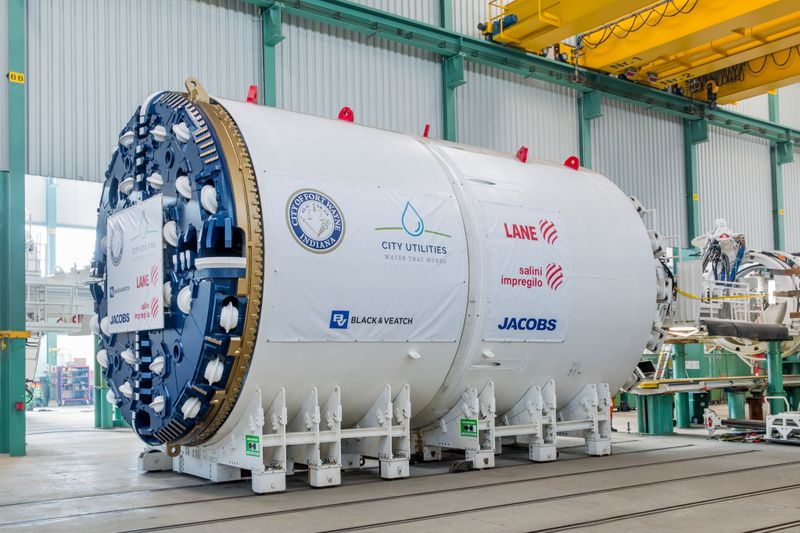 Earlier this year, City Utilities worked with neighborhood leaders and students at New Tech High School and Towels Middle School to come up with possible names for the TBM. Students voted to narrow the list to four, and the community voted online to choose a winner. MamaJo was an overwhelming winner with more than 43% of the vote. Residents of all ages are showing interest in the tunnel, and so MamaJo will host tours on Sunday, September 9, from 11:00 a.m. to 3:00 p.m. at the working shaft site near the intersection of Dwenger and Glasgow Avenue. Look for more information about the tours in the coming weeks. MamaJo is expected to start her journey and begin digging the tunnel later this year. 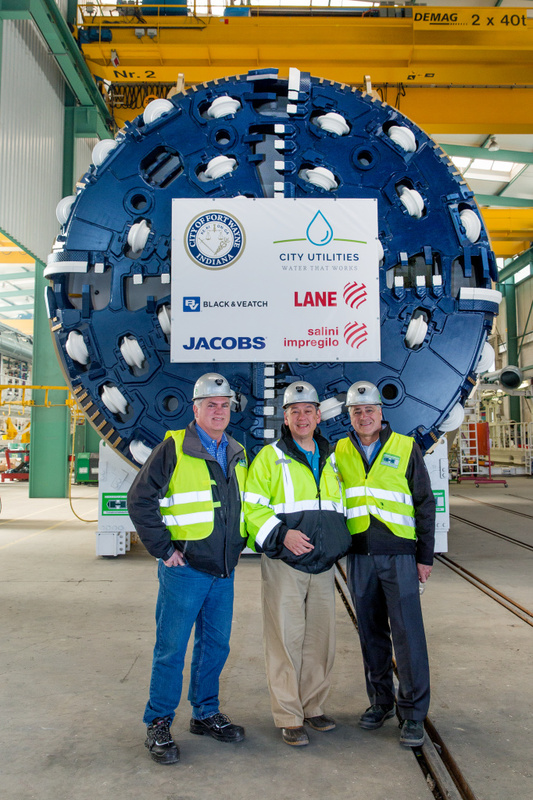 Completion of the tunnel boring is expected by 2021, and the intricate connection to the many neighborhood sewers by in 2023. The tunnel will be operational in 2023. The deep-rock tunnel is a significant portion of the effort to clean-up Fort Wayne’s rivers and protects neighborhoods from basement back-ups and street flooding.